Facebook announced an update to their ad platform that is big news for real estate: Agents can now add multiple images to their Facebook ads. I got the news from this helpful little email, and immediately started writing this post. The news is simply too important to wait. I know this will have an impact on how you’re using Facebook ads. The announcement might not seem like a big deal, but it is — especially for listing agents who are looking to sell homes, rather than buyer’s agents. So when you go to the Facebook Ads Manager and create a new ad set for the home you’re selling, you now see this option for images. This feature is great for agents, for obvious reasons. You can now show even more of what makes a home special, instead of trying to sell by typing everything. Remember, showing is better than telling. 1. Keep your audience tight and defined. Don’t try to reach everyone with a single ad. This is a rookie mistake that will only lead to more money being spent and fewer leads generated — that’s bad. Instead, run multiple ads on a smaller budget and focus on different segments. 2. Understand your intended audience and set those parameters. Who are you trying to reach with this home? Families? Young professionals? Retirees? Know exactly who you’re going for, and tweak your ad set to reflect those lifestyle habits. See below for an example of a recent ad I ran. 3. Have a strict budget with start and end dates. I never run ads without a definite start and end date. This target helps to both keep me under budget and to study the results to measure whether the set is worth continuing. I learned this the hard way, leaving one of my early ads running continuously and racking up a $10,000 invoice after a few months! I’m a big proponent of optimizing your images for the intended social network. It’s even more important for your ad sets. This difference in Carousel image sizes is critical, since Facebook’s standard 1200×627 image guide would be way off base (view the guidelines here). Money is being earmarked for the ads, and you want them to look as good as possible. Can you imagine seeing a full-page ad in a magazine, except it didn’t quite fill up the page? That person would be fired. Take the same care in your online efforts. Pro tip: Canva helps tremendously with creating beautiful online ads and graphics. 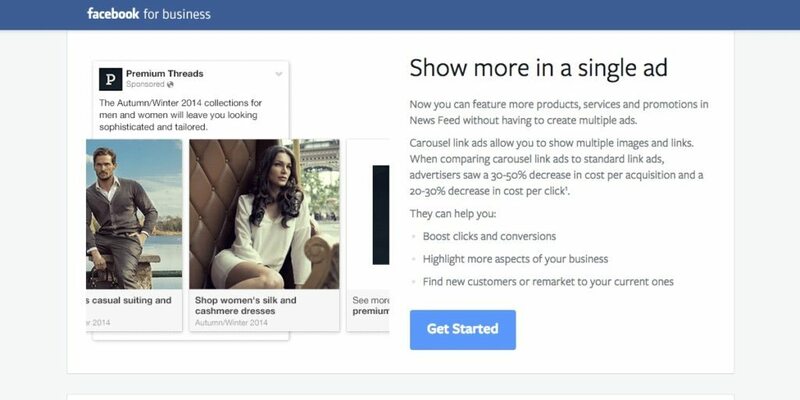 These four tips will help you better utilize the new Facebook ads image feature and hopefully sell more houses. Get “The Realtor’s Guide to Content Marketing & Social Media Engagement,” an exclusive for Inman readers, free. Matt Ragland is a brand and content strategist based in Nashville, Tennessee. You can also follow Matt on Twitter @MattRagland.